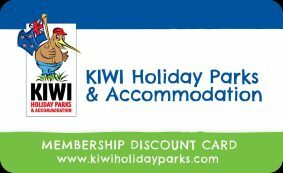 Havelock Holiday Park offers a limited number of annual concession sites where you can leave your van set up for the entire year. There is no need to take down the awning and pack everything away when it is time to head back to the rat-race. All you need to do is turn off the water and power, lock the door and go. It couldn’t be easier. Each year that the Site Holder wishes to extend, the annual fee is payable before the old agreement expires. Extra guests, approved by the Site Holder, wanting to use the van and are not on the nominated list are welcome and pay the nominated nightly tariff upon arrival. Their stay does not affect the concession nights tally. Dogs are permitted on the concession sites all year but are expected to be well behaved and the Dog Policy must be adhered to at all times. The normal check out time for guests is 10am. Annual Concession holders have a late check out time of 5pm. All our Concession Sites are taken at the moment. If you are interested in one, we are happy to take your details and put you on the waiting list.